Bid management needs to be seen in a new light. Recently I’ve been reading more LinkedIn posts and seeing more presentations about how perceptions of bid management need to change. This was a constant theme at the recent APMP conferences in Australia, the US and UK. I’ve been advocating the need to change perceptions of bid management for some time. Now I want to re-boot bid management. Bid management is not for the faint-hearted. We handle heavy workloads and pressure as each submission date approaches. Does any other job involve you in so many aspects of your business? And give you insights into your customers across different industries? We are in sales but we think of our whole organisation. We think strategically but are capable administrators. We must be diplomatic but play devil’s advocate. We are pragmatic but manage governance and policy. We create plans and plan creativity. We are technical, commercial and marketers. We do words, numbers and graphics. We are leaders and doers. Our value lies in helping organisations understand which sales opportunities should be pursued, and then creating superior responses for those opportunities. We improve win rates and get better commercial outcomes. So now is the time to re-boot bid management. Let’s go on the front foot. Let’s challenge wrong perceptions and support each other. Where to start? Well, my book Managing Bids, Tenders and Proposals is a great place to start. Learn about procurement, B2B sales, commerce and how to plan and develop compelling and competitive bids, tenders and proposals. Understand and follow the Bid.Win.Deliver Framework. Follow this blog as I post my experiences and insights. Catch-up on my old LinkedIn posts where I presented my global cross-industry research into best-practice bid management. 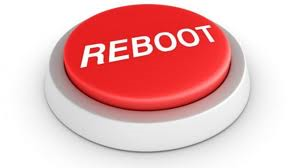 Above all, help to re-boot bid management!